We are just around the corner from move in season! Apartments are being rented as fast as lightening, and leases are being signed hourly. New tenants are anxiously awaiting the day they can pick up their keys, pack up their cars, and unload their things into a new home. It’s an exciting time! 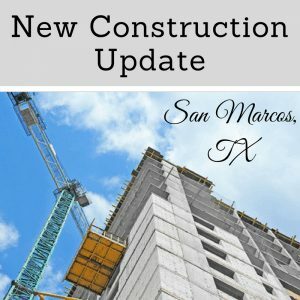 There are two apartment complexes in San Marcos that are finally opening their doors in August 2017. We are so excited to have new neighbors! Check out these two new construction properties below. The Local is located off of Edward Gary St., near downtown and the Texas State University campus. The Local offers studio, 1 bedroom, 2 bedroom, 3 bedroom, and 4 bedroom fully furnished floor plans to accommodate many different roommate configurations. In addition, they are offering early move ins! Some of their amenities include free cable & internet, a lavish upper floor swimming pool, game room, media room, and fitness center. They are also just a block away from the lively restaurants, shopping, and nightlife at The Square. Super convenient for letting loose after a late night study session! The Pointe is located on Comanche Street, near the West side of the Texas State University campus. The Pointe is perfect for a large group of roommates, as they offer floor plans with up to 6 bedrooms in one unit! This newly constructed building is also going to offer fully furnished apartments with cable & internet included. Their other amenities include a resort style pool, fitness center, reserved parking, and study rooms. These two properties are the hottest new construction to hit San Marcos in years! If you are interested in touring these properties, don’t hesitate to reach out to us! We are the Experts in San Marcos apartments! Call our office at 512-262-9887, or visit our website 24/7! Our Licensed Real Estate Agents are standing by ready to help you rent the apartment of your dreams.